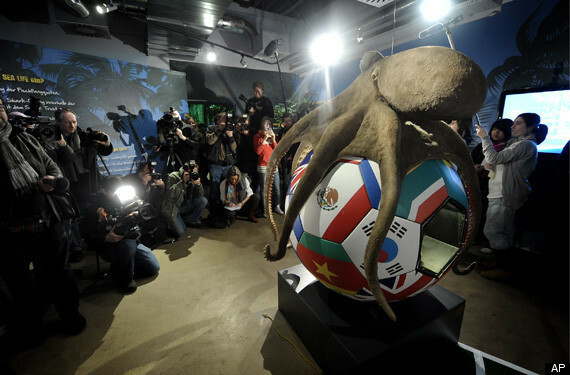 Fans of Paul the Octopus can now admire a memorial to the mollusk at the aquarium where he became the World Cup prognosticator. Paul correctly tipped the outcome of all seven of Germany’s games at last year’s World Cup, plus the Spain-Netherlands final. He made his predictions by opening the lid of one of two boxes, each containing a mussel and bearing a team flag. The Sea Life aquarium in Oberhausen unveiled the 6-foot plastic replica of Paul clutching a soccer ball in his eight arms on Thursday. Aquarium spokeswoman Tanja Munzig says Paul’s cremated ashes were placed in a gold-leafed urn inside the ball. Paul died three months ago. Munzig says fans around the world had asked for a memorial. FRANKFURT, Germany (AP)—Paul the Octopus, the tentacled tipster who fascinated football fans by correctly predicting results at this year’s World Cup, died Tuesday. Paul had reached octopus old age of 2 1/2 years and died in his tank on Tuesday morning in an aquarium in the western German city of Oberhausen, spokeswoman Ariane Vieregge said. Paul seemed to be in good shape when he was checked late Monday, but he did not make it through the night. He died of natural causes, Vieregge added. “We had all naturally grown very fond of him and he will be sorely missed,” Sea Life manager Stefan Porwoll said in a statement. The aquarium has not yet decided how best to commemorate their most famous resident, he said. In response to hundreds of requests to bring Paul to Spain, the Madrid Zoo asked Sea Life if it would be willing to make a deal to bring him in as a tribute to the Spanish football team’s victory, either temporarily or for good. But the German aquarium turned down that offer, too. Paul also had an agent and Paul’s name will live on the Greek island of Zakynthos, where a permanent sea turtle rescue center funded in part by donations generated by the famous octopus is being established. 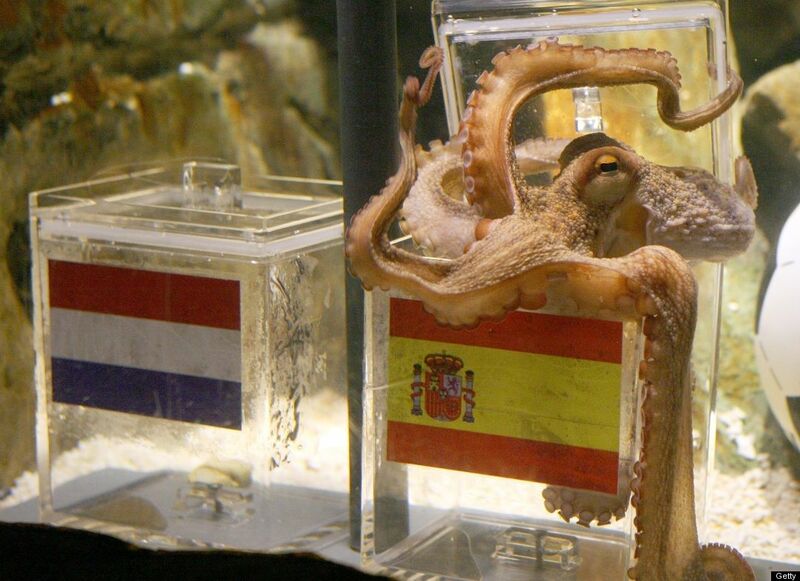 Paul The Octopus became famous for correctly predicting the result of eight consecutive World Cup clashes — finally picking winners Spain for the final. But presenter Roberto Pettinato, from Argentina’s ‘A Perfect World’ programme, wanted revenge after the tentacled soothsayer called the results so well. Argentina fans blamed him for their World Cup exit after he correctly predicted Germany would beat them and some have voiced a desire to eat him. So after branding the animal a “Nazi” he grabbed an octopus live on air and claimed to be killing it as he hacked its head off and put bits of it in a blender. 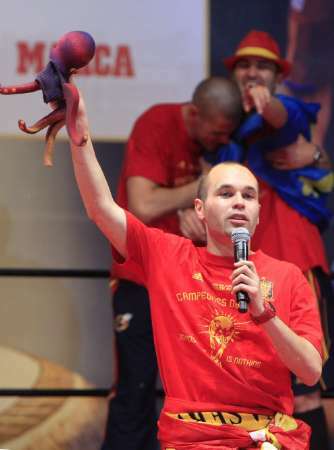 Paul the octopus had a 100 per cent record during the tournament. William Hill has revealed punters won up to half a million pounds backing the mystic mollusc’s predictions. But some angry German fans called for him to be thrown into a shark tank after he predicted their semi-final loss to the newly crowned World Cup winners. 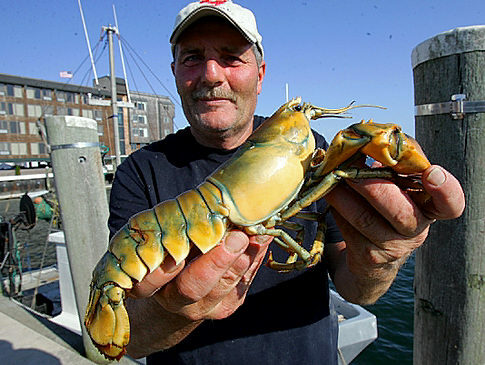 PROVIDENCE, R.I. — It’s not made of gold, but a yellow lobster pulled from Rhode Island’s Narragansett Bay is very rare. Lobsterman Denny Ingram says he found the lobster in one of his pots the bay’s East Passage last week. It is golden on the top and bright yellow on both sides. Experts say the genetic feature is very rare, occurring in about 1 in 30 million lobsters. It’s also apparently good luck for this lobster, who will not be heading to anyone’s dinner table. Ingram says he plans to keep the yellow lobster on display at the fishermen’s co-op at the State Pier in Newport. After the lobster picked the Baltimore Orioles to win the World Series the lobster was declared a dumbass crustacean and all trade talks for Paul the Lobster have ceased.. Iron Chef Morimoto has been in negotiation for the yellow lobster..
Paul the Octopus may be enjoying his retirement, but he is hardly resting on his laurels. The magical mollusk, whose fantastic football forecasting made him a worldwide celebrity, may be preparing to cash in on his remunerative reputation. 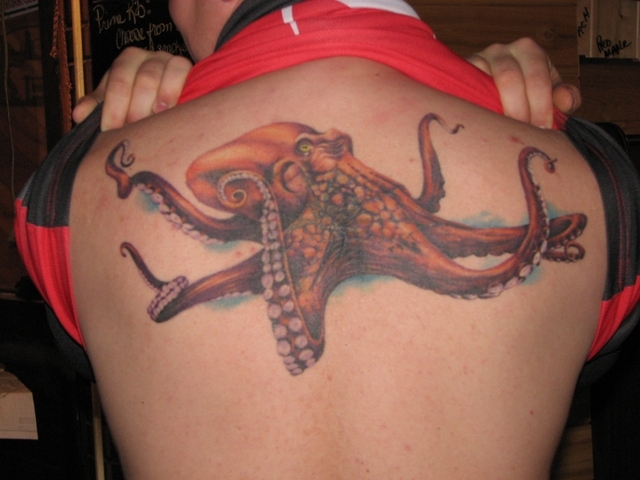 The brilliant German Octopus, said to be worth millions in endorsement potential, has hired an agent. Quashing potential criticism from any deep-sea detractors, Paul is lending his name to a worthy cause. The Oracle from Oberhausen is trying to save endangered turtles in Greece. 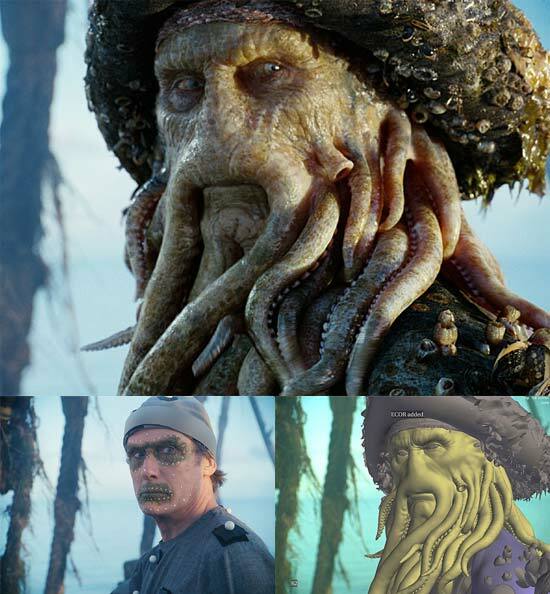 The tentacled talent also picked up another hard-earned accolade. Paul was named an honorary friend of the Spanish town O Carballino, whose mayor bestowed the watery wonder with a commemorative plaque. Pauls agent is currently reviewing his many options. MADRID – The Madrid Zoo said Thursday that it has made an offer to buy Paul, the octopus who became a pop culture sensation by correctly predicting the outcome of as many World Cup matches as he has legs – all seven of Germanys games plus the Spain-Netherlands final. The zoo said it made the offer after receiving hundreds of requests from Spaniards for Paul’s transfer from a German aquarium after Spain won the World Cup on Sunday. Zoo spokeswoman Amparo Fernandez said an unspecified amount of cash was offered for the purchase of Paul, now a hero in Spain, which went wild after it won its first World Cup ever. “We hope that within the next few days we will be able to confirm news that the admirable Paul will be part of the club of the most loved and charismatic animals of the Madrid Zoo,” said a statement from the zoo. 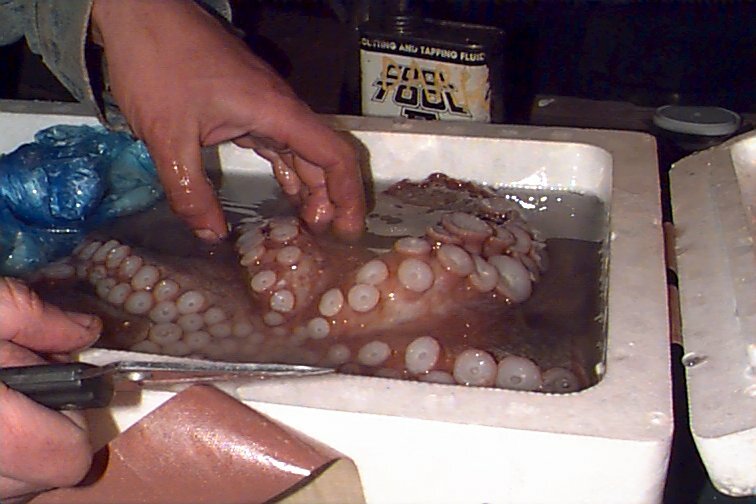 ESPN looking to televise the next “Big Decision” reporting which city will be receiving the talents of Paul the Octopus..Cooking Channel may bid on talent for Paella throwdown..
UPDATE: PAUL THE OCTOPUS IS NOW EIGHT FOR EIGHT. AMAZING. The brilliant octopus finishes the World Cup with a perfect record, and as many correct picks as legs. Paul, the remarkable oracle octopus whose knack for predicting the outcome of World Cup games has earned him worldwide fame as well as “revenge grilling” death threats, has outdone himself. The precious prognosticator made two final World Cup picks on Friday, putting his hard-earned credibility on the line in a bold gambit. The generous genius predicted that Germany will conquer Uruguay in the tournament’s third-place game on Saturday, and he picked Spain over the Netherlands in the final on Sunday — the first non-German game the majestic mollusk has ever predicted. Paul’s prophetic picks have been unassailable during the World Cup. By choosing between two mouthwatering mussels, Paul indicates which team he knows will win. The soccer sage successfully forecasted all four of Germany’s victories and both of the country’s losses. 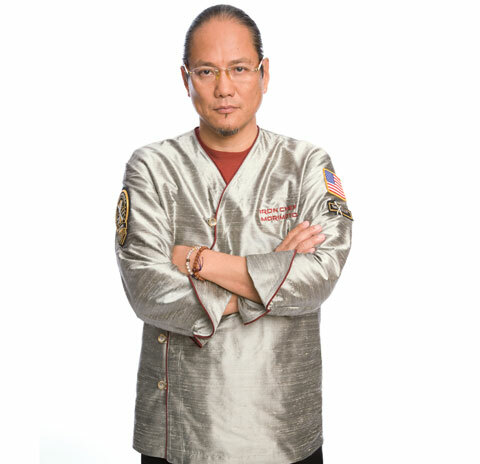 Paul “the wise guy” is being investigated as “octobeard” by FIFA, Nevada Gambling Commission, and Cooking Channel.